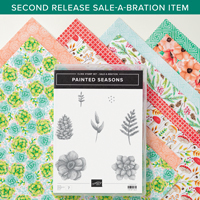 The Painted Seasons bundle was added to the Sale-a-Bration line up as a second release. I really love the succulent stamp in the set. I thought this set would be perfect to do the Double Time Stamping Technique. You could just use the designer series paper in the bundle, but it’s fun to create your background. 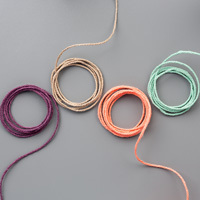 I also unwound the twine to use 2 or 3 strands instead of the full thickness. I like the softer look being more like linen thread. My club made a small card sample to go in their technique book with the instructions I printed for them. 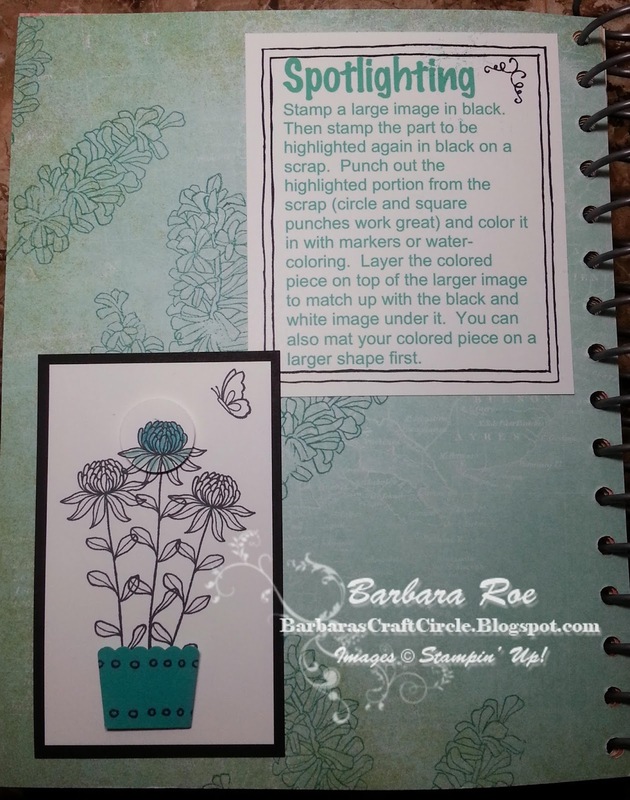 The Spotlight Technique was the perfect choice to color in just a portion of this huge stamp from the Occasions Catalog (aka the Spring Catalog). Of course, it is beautiful fully colored in too. I do love just plain black and white though, and this is a step above that. Here is the Technique Journal page I did on this technique for my club. Here’s an easy wow to spice up your cards. I’ve seen these before, but didn’t realize just how easy they are. The tunnel card technique instructions are below on the technique page I made for my stamp club members. Here’s the front. The whole scene is dusted with Dazzling Diamonds glitter. It didn’t show in the photo, so use your imagination…lol. 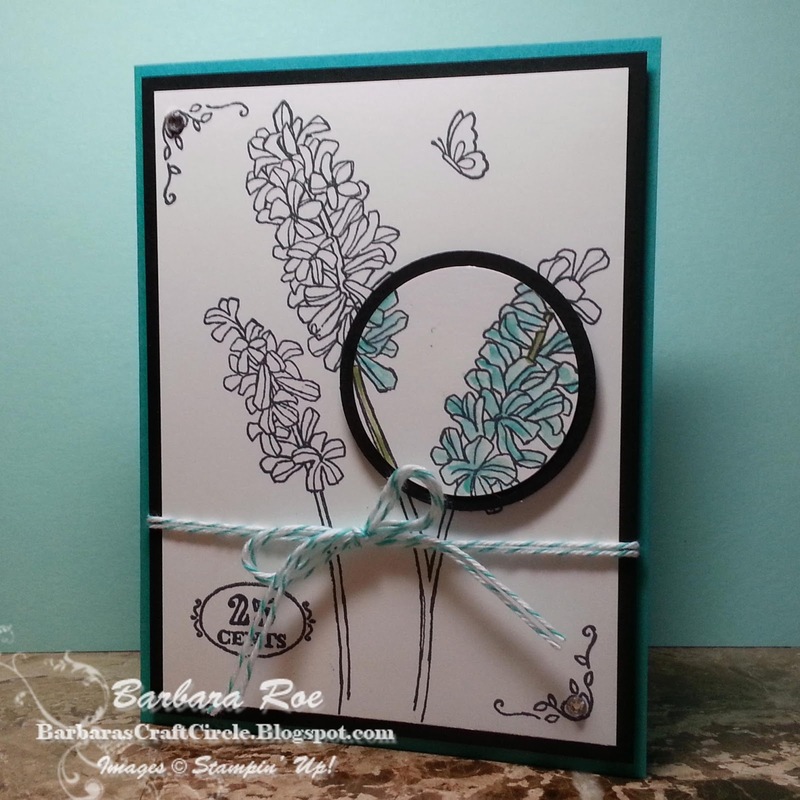 I used Winter Wonderland Specialty paper and the Wonderland stamp set. And, here’s the technique page with a tiny sample tunnel card. Here’s one of the Valentine Cards I made for my clubs this month. It could also be for a baby shower. My technique this month was Split Negative. This is a new twist on getting this effect from how I was taught about 10 years ago. I ran across it while searching for techniques to share. Both of these cards were inspired from similar cards shared on our demonstrator site. January is almost over! Thank goodness…year end accounting close seemed extra challenging this year. It’s so nice to have breaks from all that overtime to enjoy sharing stamp projects with my club friends. In July, I taught the Frosted Image Technique. 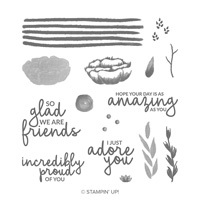 You don’t need anything special for this one, just a Whisper White stamp pad and daubers. Here’s the technique journal page I did. My club members do one technique page every month for their journal. Tip to lining up 2nd image on top of 1st: If you’re using clear mount, you can hover your stamp over the image already stamped so that you can see just the edge of the entire image peeking out to one side then shift to over the image keeping the orientation of how you were holding it, then stamp. Since this technique doesn’t have to be right on, this method is close enough. I showed the Faux Tile technique in my June Stamp Nights. Here’s the Technique Journal page we made with score measurements. The trick to the shading is to brush the dauber starting on the mask inward onto the “tile” softly so you don’t cover up too much of the tile with shading. Also, when brushing the outside edges with the dauber, skip over the “grout” score line to keep it white.